I hope those of you who have had a break these school holidays have had time to be refreshed and are feeling re-energised for Term 3. I have been in the Church Schools’ Resource Office role for two and a half months now and have thoroughly enjoyed and greatly appreciated visiting the Presbyterian schools around the country. In my visits I’ve been introducing myself to Principals, Chaplains and other teaching staff and generally getting a feel for what is happening in each school in regards to its special character. I have saved the best till last and will be visiting our two Hawkes Bay schools, Lindisfarne and Iona Colleges in week two of Term 3. A warm welcome to the Presbyterian Church schools network to Rev Kirstie McDonald, Chaplain at Rangiruru Girls’ School in Christchurch and to Mrs Shannon Warren the new Principal at Iona College, who starts at the College this term. Thank you all for your warm welcome and hospitality over this last term. I have loved hearing about the work you are doing in your schools and seeing your obvious passion and enthusiasm for it. I look forward to working alongside you, supporting and resourcing you in my role. 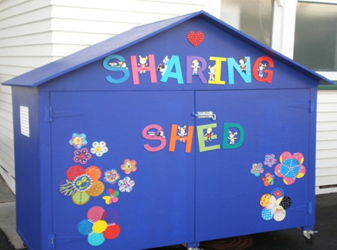 This newsletter has stories about things that are happening around our schools, the Presbyterian Church of Aotearoa New Zealand and resources from further afield which may be of interest to you. A reminder that our annual Church Schools conference is being held at Queen Margaret College, Wellington on Thursday August 7 and Friday August 8. Information about the conference including the programme and online registration can be found on the Church Schools web-site (click here). Note, registrations close July 22nd. The annual school reports will be posted on the Church Schools web-site as per last year and should be sent to Church Schools. The Chaplain’s conference precedes the Church Schools’ conference. This year it is being hosted by Southwell School in Hamilton from Monday August 4 to Wednesday August 6. If you don’t already have information about the conference you could contact Neale Troon. In my visits around the schools I have heard many wonderful and inspiring stories of community service. Simon Carey Holt in his book God Next Door talks about how Jesus’ commandments to love both God and neighbour could be literally translated as 'be of use to', giving practical assistance to and getting involved in the life of others, as opposed to simply some form of sentimental, warm feeling towards the other. The stories I am hearing from the schools about their ‘being of use’ to their community, both local and global, are stories of students giving of themselves in order to make a difference for others and being changed themselves in the process: having their world-view expanded, recognising that they have a part to play in growing the common-good of their society, enlarging their understanding of justice issues, putting their own self-concerns into a new and broader perspective. It’s life-giving stuff and is a powerful thing for our Church Schools to offer their students in the context of remembering God’s call to live in ways which are just, caring and compassionate. This newsletter features a community service story from St Kentigern Girls' School. For a number of years now the school has been committed to supporting Dingwall Home in Papatoetoe. Dingwall Home was established in 1927 by a bequest of David DIngwall, who was a member of St Luke’s Presbyterian Church in Remuera. It is great to see his vision continuing to be supported through St Kentigern school. Thanks to Judith Dobson, the Deputy Principal at St Kentigern Girls' School for sending me the story which you can read here. This year’s Prescare art and writing competition entry forms and posters are available now. This is the third year that the Prescare competition is running and is open to children in Presbyterian congregations and schools from preschool to year 8. Entries are due in by 25 August. The winning entries will be made available digitally to Presbyterian church schools for use in worship and as a way to promote children’s voice and expression. The Kids Friendly web-site is a fantastic resource for worship ideas, activities and articles focussed on children from pre-schoolers to Year 8. Jill Kayser and her team are always very happy to assist with any questions or resource needs you might have around working with children. Email her by clicking here. Other projects being promoted by Presbyterian Support Northern are Random Acts of Kindness Day on September 1 www.rak.co.nz and Grandparents Day on September 7 www.grandparents-day.com Both web-sites have a section for schools and teacher resources and could offer a good focus for either classroom activities or a chapel service. Dr Jennifer Macleod teaches Christian Studies (as well as Physics) at John McGlashan College. She has developed curriculum for year 11 Christian Studies, Achievement Standard: Religious Studies 1.2 on Church History and the Reformation. Jennifer is happy to share this resource with any who are interested. Contact Jennifer here. to find out more. Those of you who are part of this Association, administered by the Catholic Education Office can read the latest newsletter here. 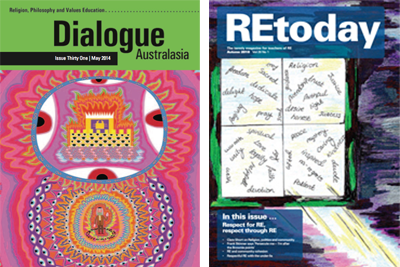 RE Today from the UK which comes as a magazine plus teaching resources for primary and secondary schools. The Summer 2014 resources focus on ‘spiritual development’ for the Primary sector and ‘Hope – is this all there is?’ for the secondary sector. Carolyn Brown lives in Charlottesville, Virginia. She is a Certified Christian Educator in the Presbyterian Church USA (PCUSA). She has more than thirty years' experience in Christian Education with a variety of congregations covering five states. She is also a member of the Association of Presbyterian Church Educators. Her web-site offers ideas for children’s worship grouped by topic, by lectionary, by Scripture and by date. You might be able to find some useful ideas there to help shape your chapel services. Click here to go to the website. It’s a long time between Pentecost and Advent! 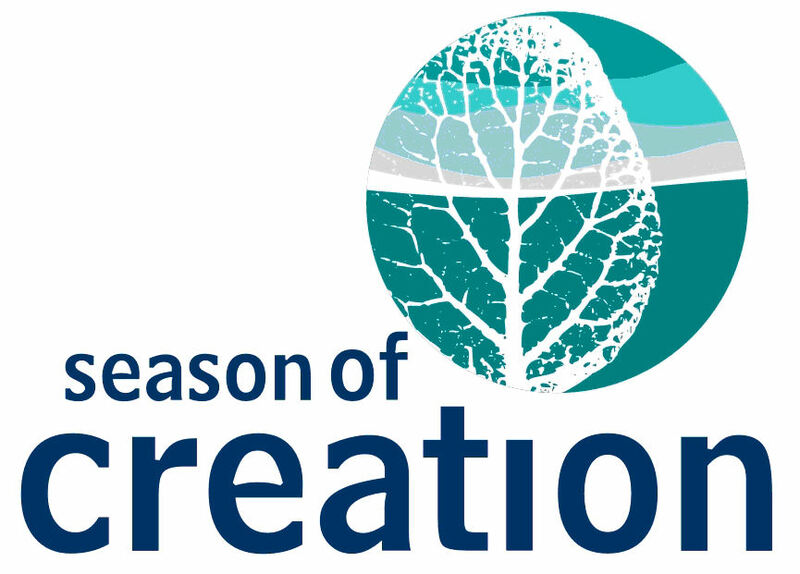 The Season of Creation for the month of September has become popular within the church over recent years which makes a helpful connection with one of the Presbyterian Church’s ‘faces of mission’ of Caring for the Creation. The Season of Creation has a different theme each week on an aspect of our environment, based on a three-year cycle. 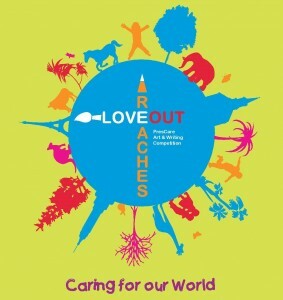 In 2014 the themes are: forests, land, wilderness and rivers. A web-site with worship resources and reflections which might spark off your own ideas and creativity is here Resources for Season of Creation 2014 should be posted on it soon. This last weekend more than 200 youth leaders from the Presbyterian Church gathered for their annual networking, training and resourcing event called Connect. 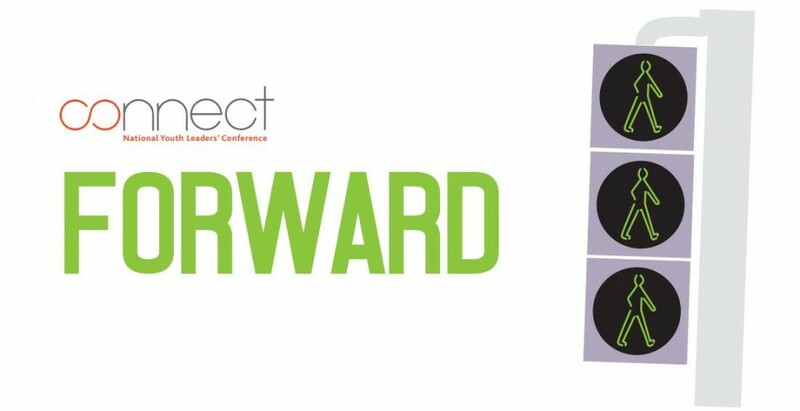 This year’s Connect conference with the theme of Forward was generously hosted by St Andrew’s College in Christchurch. I was invited to lead a workshop (one of 30 on offer) which was titled Five Smooth Stones for Resilience, drawing on the idea of David choosing ‘five smooth stones from the brook’ to take on the giant Goliath. Gordon Fitch, our National Youth Worker and Matt Chamberlin our newly appointed National Youth Director are always available to help with resources and advice around youth issues. You cant contact them via their web-site. The Presbyterian Church’s bi-ennial Assembly is being held on October 3-7 at St Kentigern College who are giving it their generous support. Every congregation will be represented by a Commissioner who will attend the business sessions of Assembly along with other resourcing events. This year, for the first time, there will also be an Inspiring Mission conference at the Assembly, running alongside the business sessions. Inspiring Mission gives people the opportunity to attend a focused stream of learning for three mornings along with workshops in the afternoon. If you are interested in coming along to Inspiring Mission or would like to find out more about Assembly you can visit the web-site by clicking here. Training in Mission 2015 - a gap year opportunity? The Presbyterian Church of Aotearoa New Zealand (PCANZ) is a member church of the Council for World Mission (CWM). CWM offers a youth leadership development programme for 18-30 year olds, Training in Mission (TIM) which will take place for ten months in 2015 in Taiwan, Kiribati and New Zealand. The programme includes the following elements: orientation to the programme and the local context, study sessions on issues related to mission and theology, voluntary work in church and community projects, team building sessions and evaluation. CWM will pay for the cost of international travel, food, accommodation and tutorial expenses during TIM along with monthly pocket money. See here for more information. If you know a year 13 student who might be interested in applying to be part of TIM2015 please contact our Global Mission Co-ordinator, Rev Phil King. The PCANZ has a long history of partnership with the NZ aid and development agency CWS. To find out more about what CWS can offer your school by way of information, teaching and worship resources as well as an avenue to actively contribute to issues of injustice and poverty around the world, click here. Glllian Southey at CWS has also recommended this web-site Camels, Terrorists and God which has a wealth of resources for the Middle East. If you are exploring the background to the current situation in Gaza, you will find some useful material here. I am also doing some work on upgrading the Resource Office web-site and will be putting those changes into place after the Church Schools Conference. 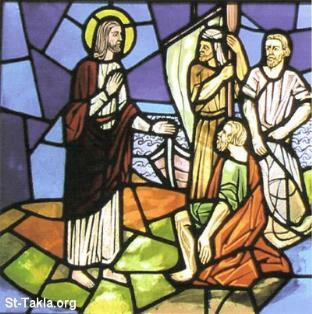 Copyright © 2014 | Presbyterian Church Schools' Resource Office, All rights reserved.